If you tow another vehicle, what is the maximum distance allowed between them? If you tow another vehicle, what is the maximum distance allowed between the two vehicles? If you tow another vehicle, what is the maximum distance allowed between the two vehicles? Correct. 4m is the maximum distance allowed between the rear of the vehicle towing, and the front of the vehicle being towed. Four metres between the vehicle and its trailer allows for a tight turning circle without risk that the corner of the trailer will touch the back of the towing vehicle. If the gap is too long, at night it becomes more difficult to see that a vehicle is towing the trailer. This is a particular problem on motorways and dual carriageways: a vehicle begins to overtake you and, out of the corner of your eye you see the end of it. You take a quick glance in your blind spot and you should be able to see the trailer. 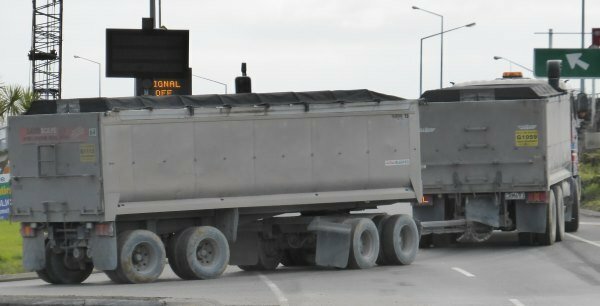 Bear in mind the trailer coupling is low down and therefore not as easy to see - in fact, it might be impossible to see if you are a short driver and your car has a high shoulder line. If the trailer is too far behind, motorists may think they can pull in right behind the towing vehicle, but will hit the tow coupling. It's even more risky if it is a vehicle being towed by a rope. Four metres also ensures that the trailer can be of usable length without risking that the whole vehicle combination becomes unwieldy or illegally long. The longer the tow coupling, the greater the potential for flexing of the material if the towing arm is made of metal. This could create instability at speed.